When I began formulating this post, it was going to serve as a warning of the horrors of liatris. How within a few years, if left unchecked, they will consume your garden. But as I waded into one of the perennial gardens, fully intent on clearing out all the spindly shoots, I noticed the whole garden is actually full of mature, ready to bloom plants. This garden, which I affectionately used to refer to as the Island of Doctor Moreau for the freakishly large plants I keep in there—not for the freakish man-beasts I keep in there—started out as a butterfly garden. 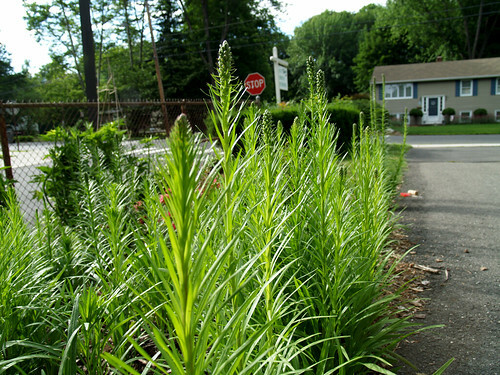 Liatris were included in the lot of plants that promised to attract all sorts of butterflies and hummingbirds. Two years ago I noted the liatris were more prolific than ever. Then last year I saw shoots everywhere, but little blooming (and a great heaving mound that I stupidly thought was all the liatris bulbs welling up under the dirt). 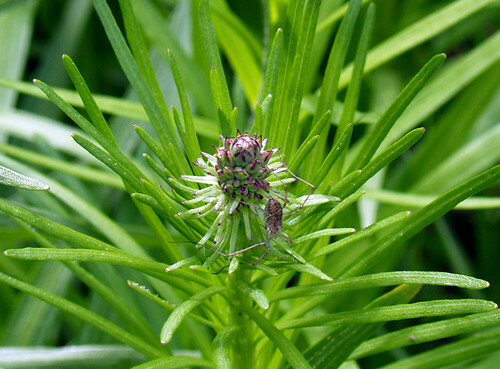 This year the garden will become a full-fledged mass liatris planting. If you’re not familiar with liatris, they are spectacular flowers. Their tall (up to 4 feet! ), purple columns of blossoms are showy all through the summer, attracting butterflies and bees. And clearly, they require little care. Just plenty of sun and well drained soil. When the whole garden explodes into a purple show, I’ll post more photos.